In this blog post, I review an ongoing International Street Food fiesta at Mosaic - a multi cuisine, all-day dining restaurant located in the lobby of Crowne Plaza hotel in Rohini, New Delhi. For the uninitiated, Mosaic serves a lavish buffet alongside à la carte options with the focus on Indian, Italian, Chinese, and Western comfort food. Every restaurant - be it small or large - needs to carry a personality, just as an individual. In my opinion, whenever you walk into a restaurant, the design aesthetic should tell you something about the place like what to expect or how your experience is going to be like. Mosaic instantly drew me in with its incredible space and beautifully lit interiors. The restaurant can easily accommodate up to 128 people at any given point in time. 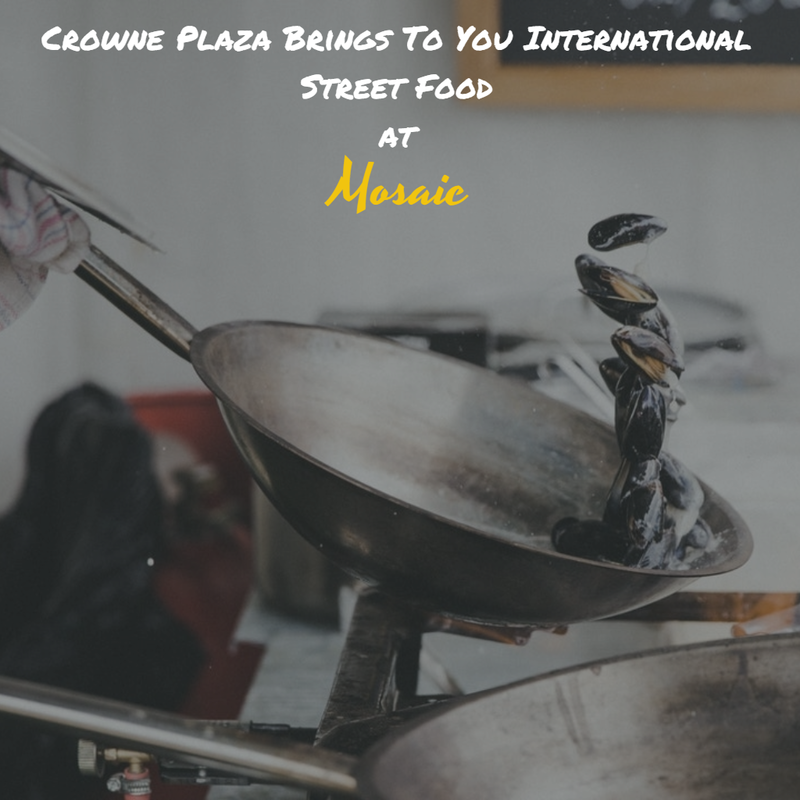 Mosaic has already garnered a considerable patronage by hosting popular food festivals (such as the Mediterranean and Pan Asian food festivals) and themed dinners (such as Mexican and Mediterranean themed dinners) earlier this year. Credit for these significant successes goes to two people primarily - Aditya Jaimini (Director Food Production and Service) and Deepak Bisht (Executive Sous Chef). 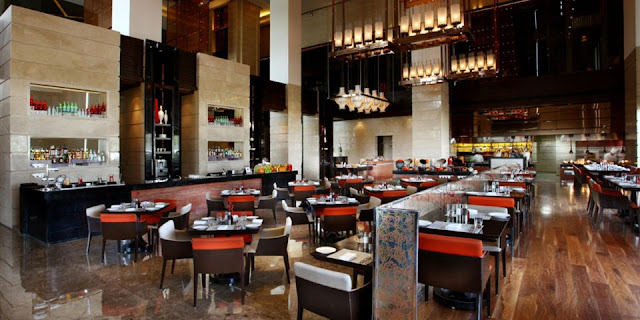 Aditya, in particular, has over 20 years of F&B experience, having worked for reputed brands like the Taj Palace, F Bar and Lounge, The Park New Delhi, etc. Continuing the legacy of introducing new and popular food from all over the world, Mosaic now brings to you the International Street Food fiesta from July 11 to 23, 2017. A delightful affair for those who appreciate authentic food, the sumptuous feast provides an exciting opportunity to savor the local street food from different parts of the world. The menu contains an elaborate spread from the Americas, Mediterranean, Europe, and Far East regions. So what can you truly expect? Hot Dogs, Burgers, Tacos, Shawarmas, Mezze, Chaat, and much more. The buffet is priced reasonably to attract as many people as possible. You can either choose to go for Lunch (from 12:30 P.M. to 3:30 P.M.) or Dinner (from 7:30 P.M. to 11:00 P.M.). Once you've devoured the best street food, feel free to indulge in the most popular desserts from around the world. Like I said earlier, do make a point to visit Mosaic in the specified timeframe. Enjoy the treasure house of local culinary traditions through the International Street Food.